In December, 18-year-old Jake Siebenlist smashed glass containers at the Denver Art Museum, throwing rare ancient artifacts across the exhibition. “Criminal mischief” always sounds like a playful way of describing activities that, particularly in the felony case against 18-year-old Jake Siebenlist, look to potentially cost the Denver Art Museum almost $2 million dollars in damages. Siebenlist was arrested Dec. 9 after going spare on artifacts from China and the Mayan civilization that were part of the museum’s 300-piece Stampede: Animals in Art exhibit. 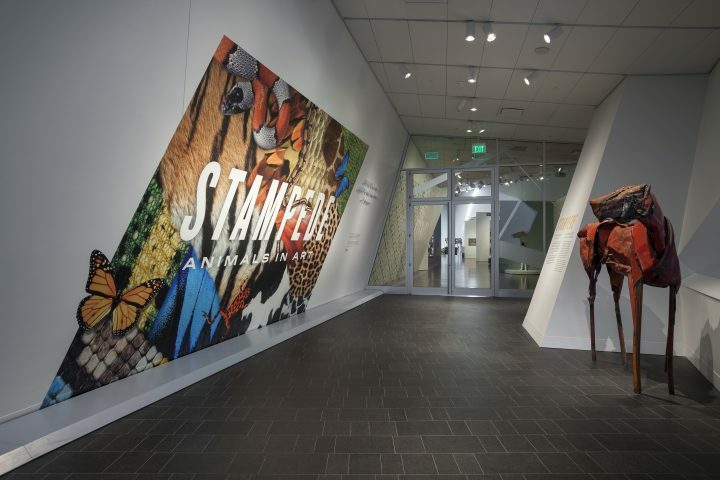 As reported by the Denver Post, Siebenlist allegedly shoved other museumgoers in the course of toppling glass containers and throwing rare and fragile sculptures. The damaged or destroyed exhibits included a Mayan fish-shaped vessel and one with a god on a bird, as well as a Chinese vase with phoenixes on it, and a Chinese initiator sculpture. According to an article by the Denver Post, a museum representative told police in a probable cause statement that the damages were valued at almost $1.93 million and likely would increase with further evaluation, prompting the official charge against Siebenlist as “criminal mischief in the amount of $1 million or more.” That charge has now been adjusted, however, as the museum has amended their initial estimate of damages from nearly $2 million down to less than $100,000. One presumes this is happy news for both plaintiff and defendant, but perhaps less happy news for any artifacts aficionados that fear for the safety of other animal statuary, lest it provokes Siebenlist in the future. “The accurate value range totals less than $100,000 based on the determination that nearly all objects can be repaired through conservation activities,” museum spokesperson Jena Pruett said in an email to the Denver Post on Tuesday. “The initial estimate was calculated immediately following the incident based on the value of the objects, as the museum’s conservation team had not yet evaluated the objects or developed repair plans.” According to Pruett, one of the Chinese vases is beyond repair. Siebenlist now faces a charge of felony criminal mischief on allegations of damaging museum property between $20,000 and $100,000, according to a criminal court filing — proving that crime doesn’t pay, but mischief can be extremely costly.